With the school holidays just around the corner we’d like to take the chance to remind you of the 1-2-1 coaching opportunities at Phoenix. 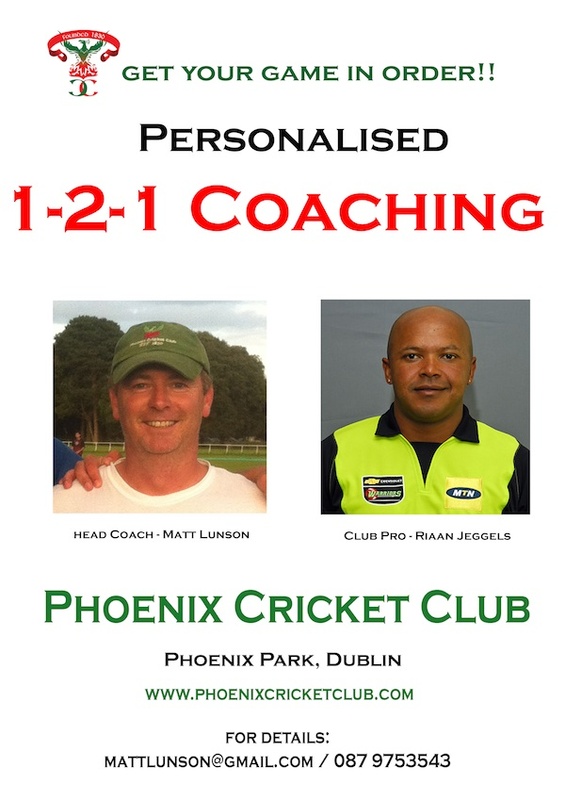 Head Coach, Matt Lunson, and club pro, Riaan Jeggels, are available to coach players of all ages and ability. So whether you or your children are new to the game, or looking to fine tune some of the technical aspects then a 1-2-1 session with our club coaches is the way to go! Each session last 1 hour and costs only €10. Sessions are available from 12 midday during the week and session can also be arranged for Sundays. So get in touch with Matt by mailing mattlunson@gmail.com or give him a ring on 087 975 3543 and book your session now!